This months block was Tish's. You can read about Tish's initial block on her blog Tish's Adventures in Wonderland and Julie's addition to it on Julie's blog Pink Doxies. After receiving it from Julie I kept thinking, what in the world was I going to add to it? I let it sit on my design wall, I felt at times like it was saying come on I'm tired of waiting. I pulled a few fabrics that I thought would work. That white with black squares is a Northcott. As happens, more often than I care to think about right now, I had a light bulb moment in the wee hours of the night. I'm pretty sure I'm not the only one who gets sleep( well it's supposed to be) time ideas. I set to work trying to get my idea to work. The first try was not good. I needed the block to be 3 1/2'' square hmmm. No not square. Back to the drawing board. I knew a paper pieced pattern would give me an accurate size. Now if I knew how to work with EQ7 better I could have drawn the pattern up there but after spending half an hour and not getting the correct size I needed, I really need to play around and learn the program better. Eventually I will! But for now I went to my graphics program and a few minutes later I was in business. I gathered all my paper piecing supplies and I was ready to go. 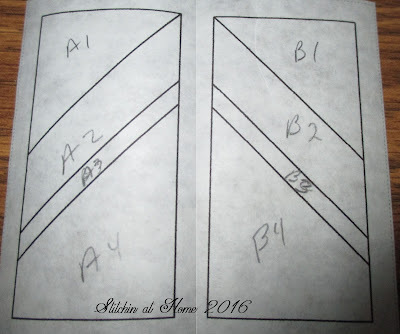 I printed my pattern piece on freezer paper as I do not enjoy peeling paper off the back after doing the sewing. Even with a shorter stitch it's still a pain. I tweaked one of the lines as you can see in the photo above it was a bit too narrow originally. How about a little tutorial as to how I do paper piecing using freezer paper? 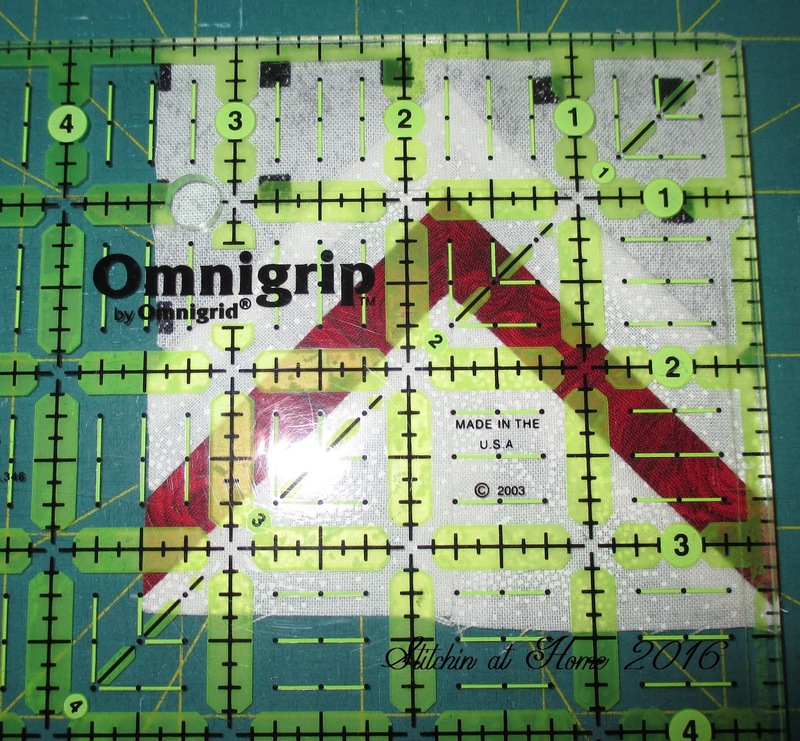 First print pattern on freezer paper, on the paper side in other words not the shiny side. Fold the paper along all the sewing lines. 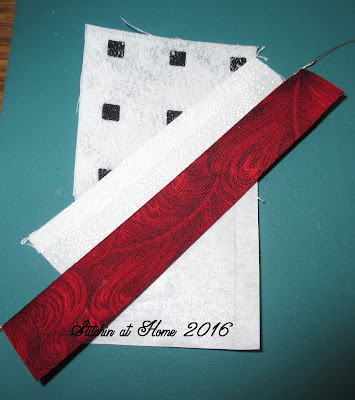 Place the fabric A1 piece wrong side up and iron the shiny side of the freezer paper to it. 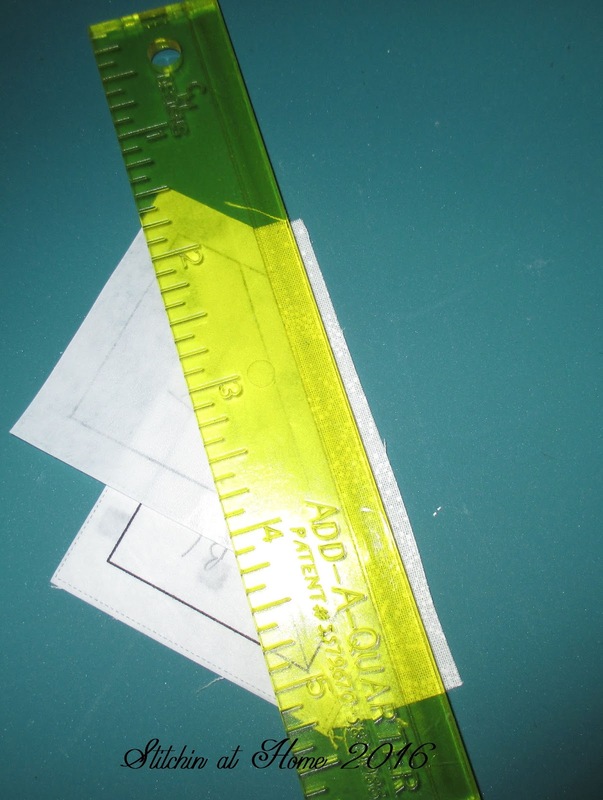 I use the 'Add-A-Quarter' inch ruler to trim the first piece before adding piece A2. Place piece A2 right sides together matching the trimmed edge. 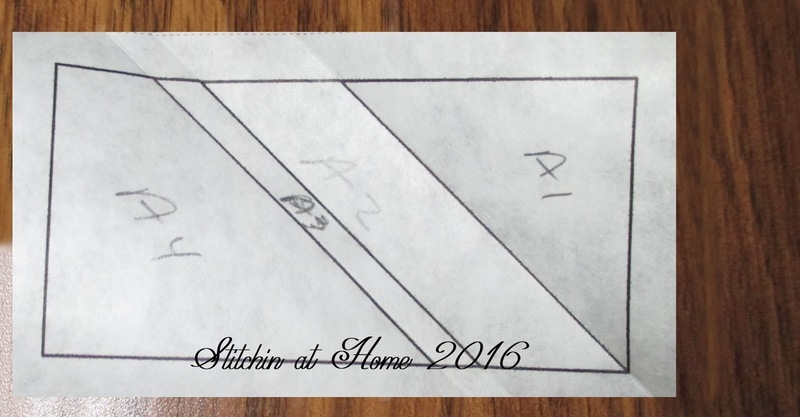 With the freezer paper folded on the sewing line between piece one and two, sew the two pieces together right next to the folded edge of the paper but not through the paper. You will have a 1/4'' seam allowance. 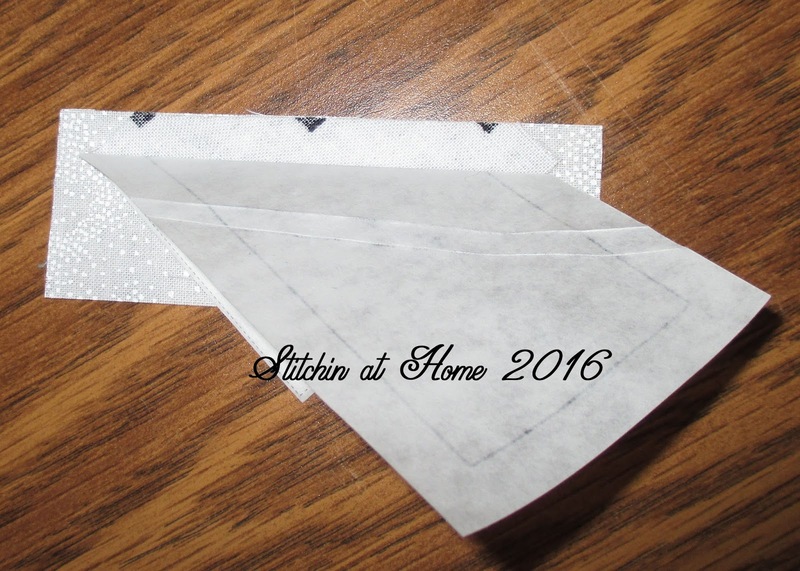 sew next to the folded edge of the freezer paper. Press the seam toward the second piece, but be careful not to touch the iron to the shiny side of the freezer paper or you will create a mess. Press from the back adhering the freezer paper to piece A2. 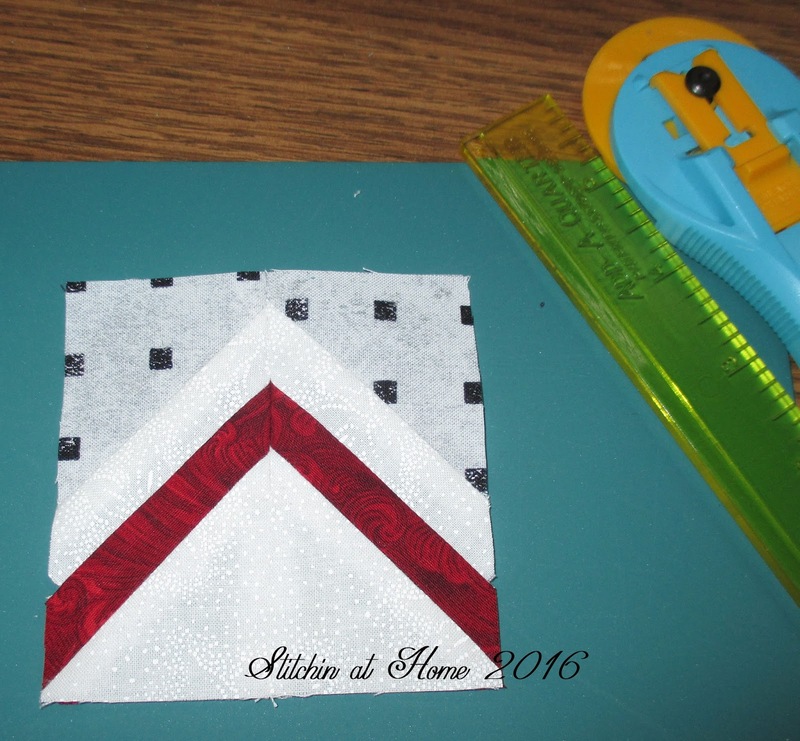 Repeat the above steps with each of the remaining fabric pieces until your unit is finished. 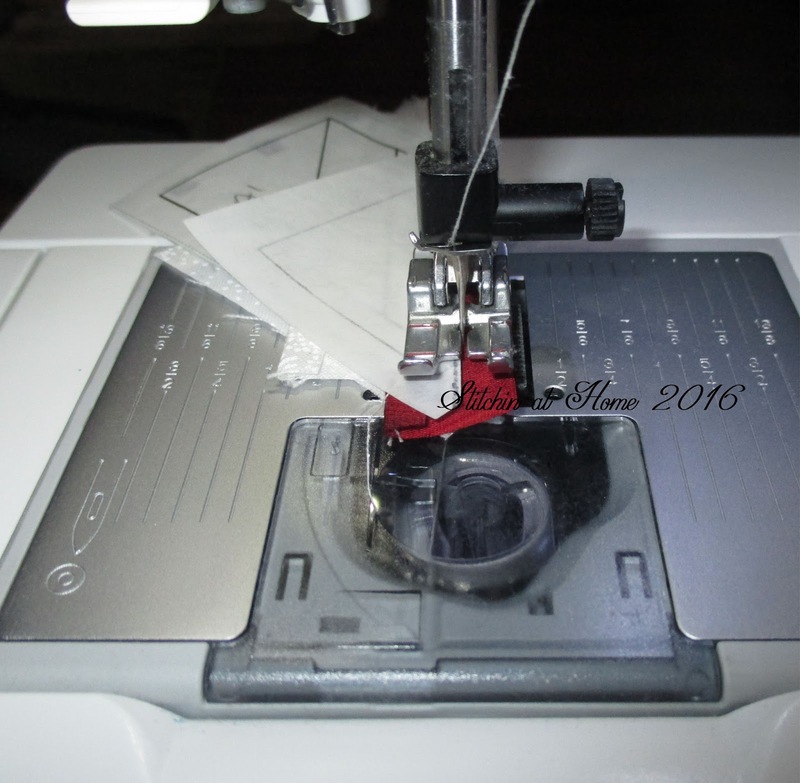 Trim after you have the unit done make sure to leave the 1/4'' seam allowance all the way around. 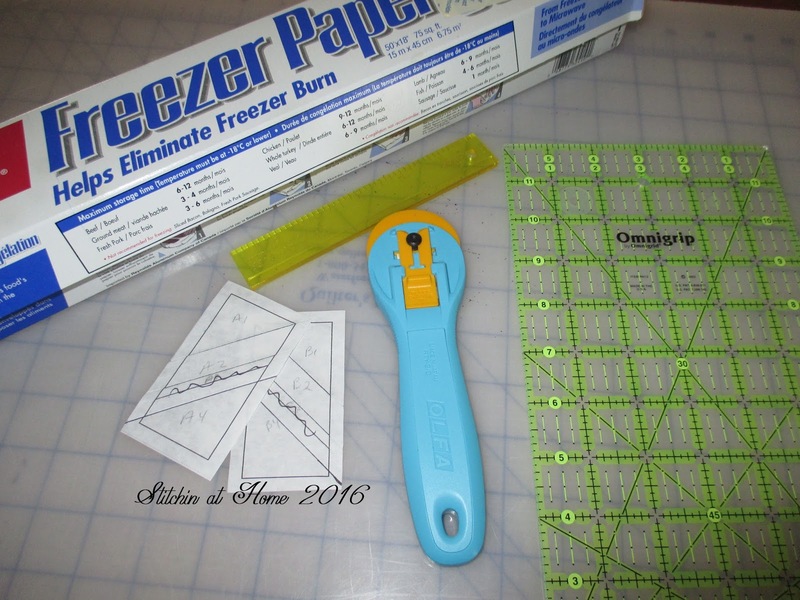 Pull the freezer paper off and you are ready to use it again. Do the same for the B side. 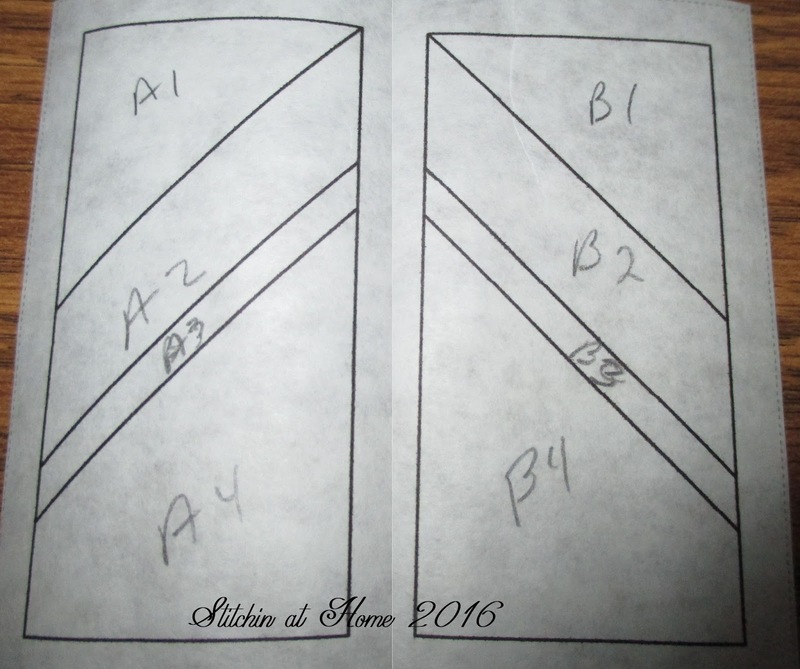 Sew A to B using a 1/4'' seam allowance. 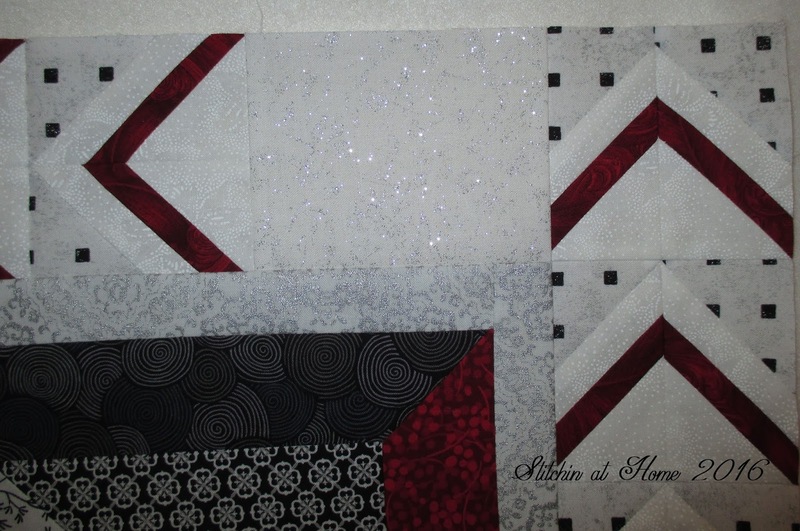 I made 12 blocks for the border around Tish's block. 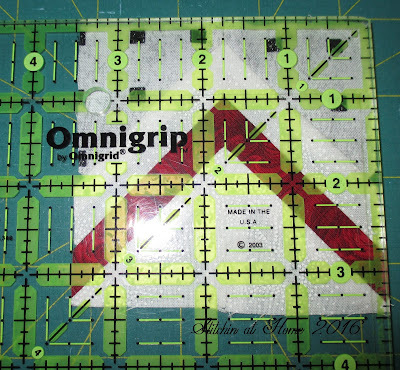 The empty space between the blocks was 5 1/2''. Four blocks would have fit with a 2'' spacer unit. Using the rule of three always gives a more pleasing look, so three per side it was with a 5 1/2'' spacer. Now how about a picture of the block with my border added to it. I like the border I added, I think I even impressed myself with this one. Okay Sandra your turn to add to this one. 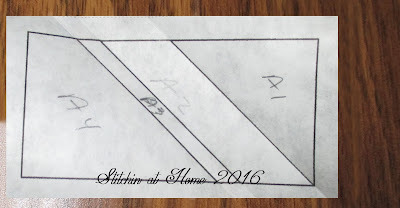 If you would like to have a copy of the paper piece pattern that I used for Tish's block you can get it free at my Craftsy store. I will be adding the direct links to the posts with the rest of the July round robin reveals, as they become live. 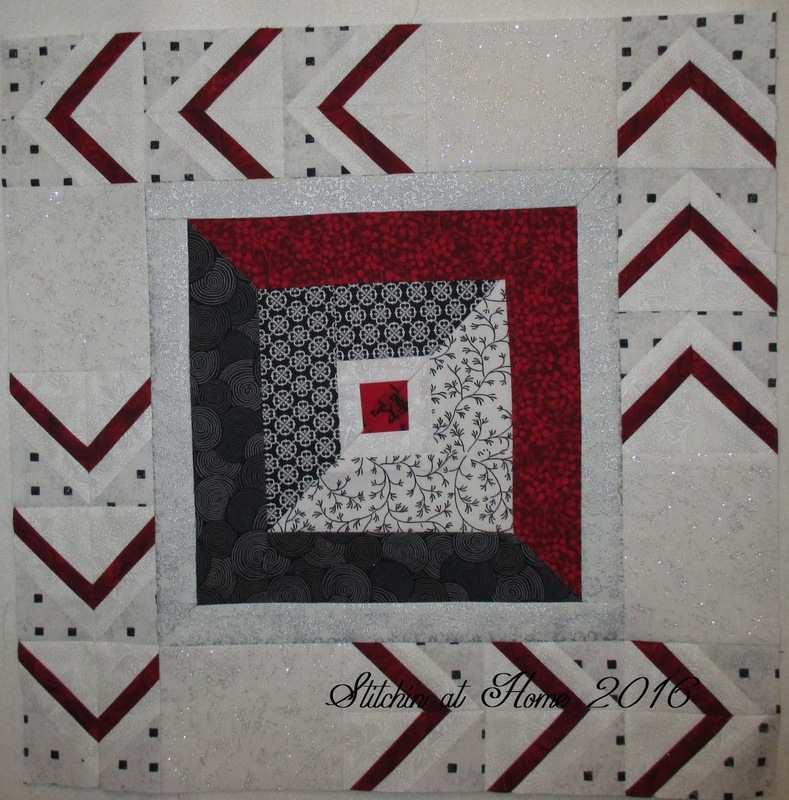 Very cool border, it really works with the rest of the quilt. Oh, I'm excited we'll be seeing what everyone added in the round robin again! Your border is great and I love that you did groups of 3 and added a bit of visual space / rest. The spinning effect is fantastic. I LOVE it!! I love how it adds movement around the block. And of course I love the fabric, especially the shimmer that is in the resting block. You hit it out of the park! 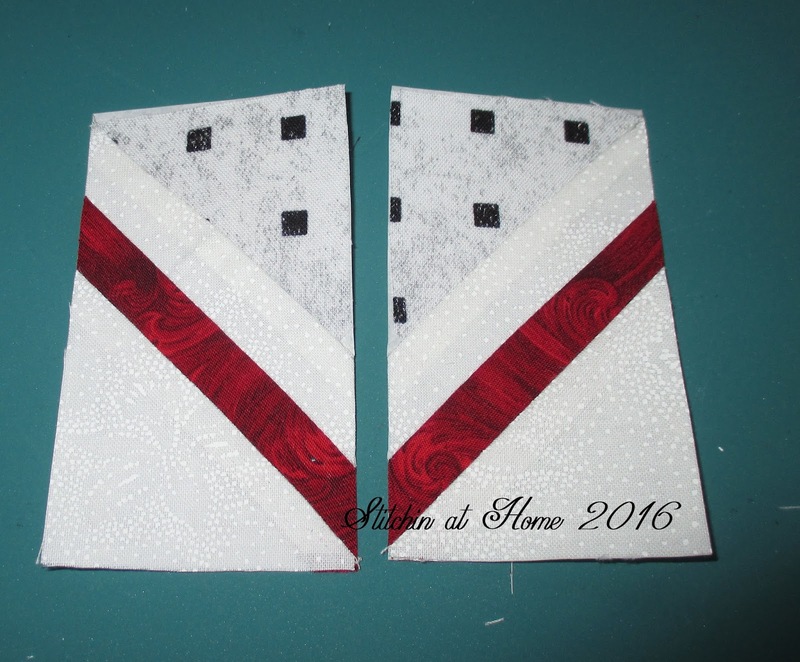 And funny that we both paper pieced :) But when we are only working with 3-ish inches it's kind of easier. You *should* be impressed - that border is perfect for Tish's block!! I've never seen paper piecing done with freezer paper. I'm gonna run to the store and get some because I'm excited to try this method. Thanks so much for sharing!! I told Tish she would LOVE what you did and I did not let her see it before today! She sent me back a grumpy face emoji, LOL. I wanted her to have her socks knocked off as this is just so so wonderful!! Your work is PERFECT may I add, and this is the method that has got me to enjoy paper-piecing; sewing through paper and ripping it off, not a fan. The fabrics you have used are just spot on too; I need to get me some of that Northcott. I love what you added! I like the blank spaces. Great job! Love what you have done here. Thanks for the tutorial using freezer paper for piecing -I will definitely be trying this. Its been fun seeing everyones progress with this Mini Round Robin! Your border is the perfect addition! You should be impressed with yourself! This is a perfect border for this quilt...wow! I am enjoying watching the progress with this Mini Round Robin. Love this! and thanks for the tutorial. 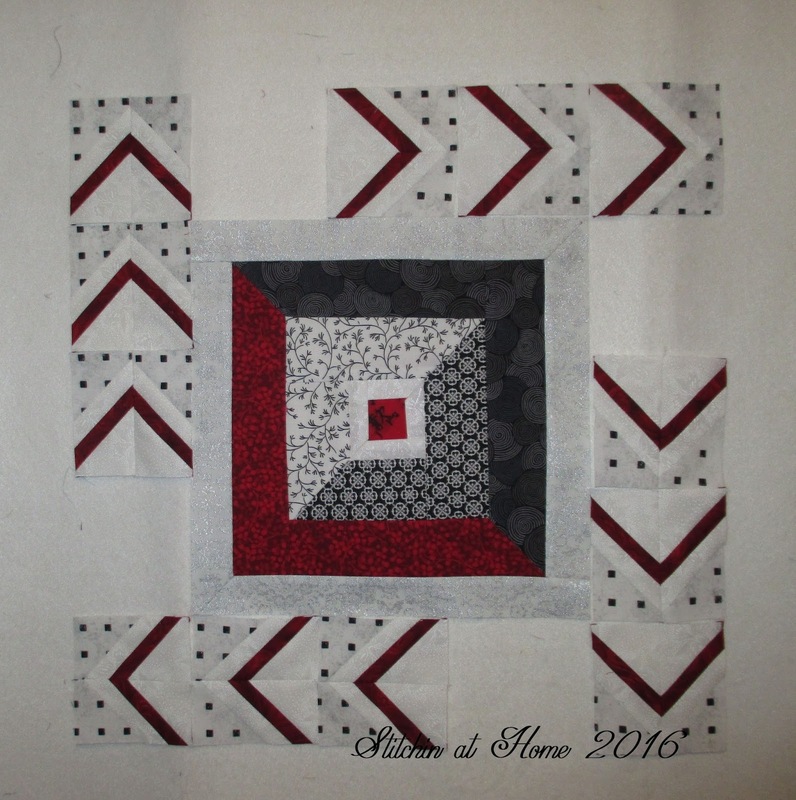 I just started paper piecing. And I love the fabrics you chose. I LOVE that border - very effective and really adds a whole new dimension. Well done indeed. Oh my - what a challenge! I would have been stumped for sure. Your solution is so elegant Cindy and adds a sense of movement and lightness that I love!